One of my favorite things to do as a Realtor is showcase beautiful Breckenridge, CO properties for sale. This month’s featured property truly deserves to be highlighted because it is so distinctive. This lovely property proves how dynamic the homes are in Breckenridge, CO. With so many styles and architectural flavors, it’s hard not to find a home here to suit your taste. At any rate, I invite you to take a look at this wonderful condominium. It’s a completely updated 2-bedroom condo with brand new kitchen cabinets, counter tops, appliances and wood floors. This home also has one of the most charming fireplaces I’ve ever seen. It’s certainly a striking feature, and makes the living room exactly the kind of cozy gathering place that makes a condo feel like home. Location-wise, you can find this home across the street from the Ski Run. Therefore, you’d be walking distance from the lifts. If you lived here you’d always be able to step out your door and onto the mountains. Also, you can easily stroll into downtown Breckenridge to enjoy all the great shops and restaurants. Other terrific aspects of this home include the fact that it’s a fully furnished, corner unit with covered parking and a hot tub. That means you can move right in and enjoy private luxury without redecorating or choosing all new furniture and appliances. Whether you want to purchase your first property or you’re looking for a vacation getaway, this home could easily be the perfect fit for you. If you’d like to tour this fantastic, Breckenridge condo in person, just let me know. I can arrange a visit as soon as this week. Give me a call and I’ll schedule a time that works with your schedule. Also, if you want to view other properties in Breckenridge or throughout Summit County, I’m happy to put together some properties that might suit your needs. 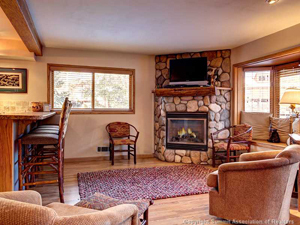 You’re always welcome to look through the updated listings on my website to get started, and when you’re ready to discuss your options or look for more condos for sale in Breckenridge, contact me at any time via email ([email protected]) or on my office line. I look forward to working with you!